Between blue skies and bluer seas rests the verdant coastline of the Cinque Terre. 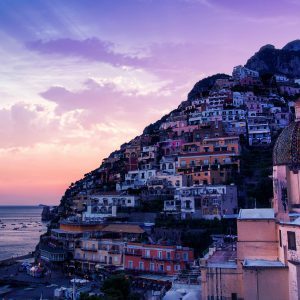 Enjoy the colorful fishing villages, the outstanding food and wine, the fascinating history and vibrant culture of this captivating corner of Italy. Numberless generations of simple fishermen and farmers have carved from the seaside cliffs a stunningly beautiful garden landscape. With every inch of space at a premium, the houses appear to be built one atop the other, and the terraced vineyards and olive groves, connected with a maze of paths, offer some of the most extraordinary walks to be had in Italy. We had a wonderful time and loved Michelangelo. He was an amazing tour guide. Michelangelo’s mom made us two wonderful dinners. Michelangelo is really flexible, funny, and accommodating. He was the perfect host. He is also extremely knowledgeable. He made the tour really fun. We had such a great time that we didn’t want to go home. We would highly recommend this tour to anyone. The entire vacation was so great that I had post-vacation depression when I came back!! Day one: Your guide meets you in Monterosso (easily reached by train from Pisa, Florence, Rome or Milan). Following an orientation tour of Monterosso, where you’ll be based for the next few days, you walk to Vernazza, the next fishing village down along the coast. Day two: Today features a guided walk from Monterosso to Levanto, north of the Cinque Terre, with spectacular views up and down the coastline. After exploring this town, you return to Monterosso by train. Day three: You continue your exploration of the Cinque Terre, picking up where you left off in Vernazza and walking down to Riomaggiore, the southernmost village. Along the way you pass through the villages of Corniglia, Volastra with its spectacular wineyards, and Manarola. Day four: Today you walk from Riomaggiore along the spine of mountains forming the peninsula of the Cinque Terre, arriving finally at Portovenere, with views over the romantically named Gulf of Poets. Day five: You begin the day with a train ride to Santa Margherita Ligure for a guided walk to Portofino. After lunch, there’s time to explore the shops and sights of this gracious harbor. Return to Santa Margherita is by boat, allowing for a splendid view of the rugged coastline. Day six: You depart the Cinque Terre from the Monterosso train station. From here, you can easily reach all of Italy, including Florence, Rome and Milan. "...the most wonderful vacation EVER!!" Greg and I wanted to thank you for helping us put together the most wonderful vacation EVER!! Everything you told us about the trip was exactly as you said and even better. Our guide, Ulisse was perfect and he saw to our every need. 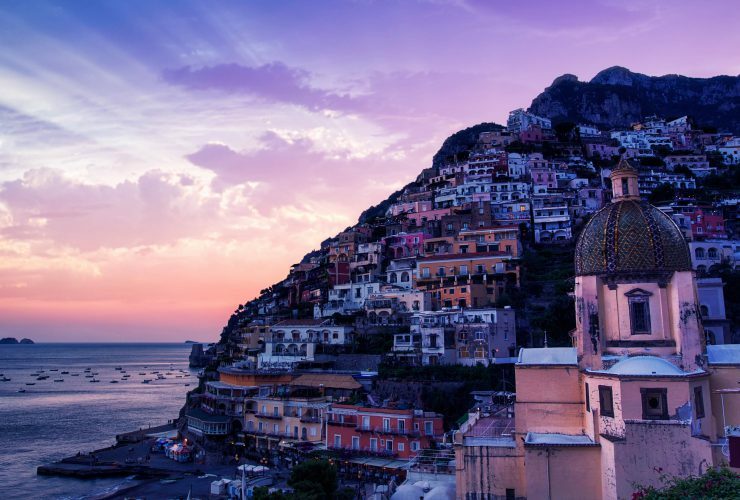 For the longest time, we have wanted to visit the Amalfi Coast. Ulisse allowed us to experience it as locals and not feel like tourists. He took us to “out of the way” family-run restaurants where we enjoyed the most delicious cuisine. He knew all about the history, mythology and folklore of the region and entertained us non stop with his stories. Best of all, we never had to worry about transportation, entrance fees, departure times…he just told us what time to be ready, what to bring, how to dress and then everything was taken care of. One day, the weather was a bit off and the boats were not running to the area where we wanted to go so Ulisse arranged for us to grab a bus and off we went! We did not miss a beat and got to see all the sights as promised. A huge bonus was the flexibility of Girosole. Being able to select the dates that worked for us along with being able to arrange a private tour was terrific. In addition, there were a few places that were not included in the trip, but that I wanted to see. Ulisse arranged for us to make a shift in the itinerary and was able to accommodate us. I will definitely recommend your company to all my friends and will take another tour with you hopefully in the near future. Thank you again for a memorable experience!